The Sheridan Engineering 300 BLK Slotted Ammunition Gauge is constructed of stainless steel, and should have a functional life of over 30,000 rounds. 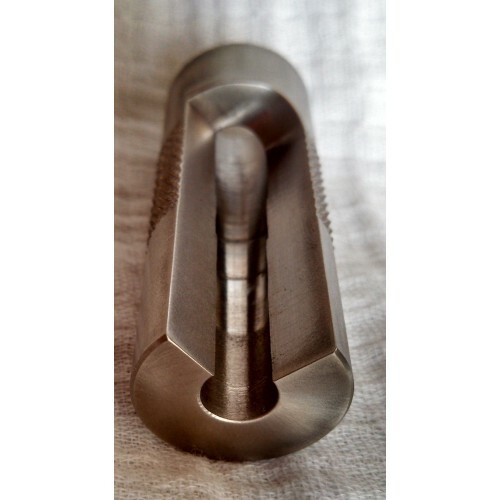 Steel casings or dirty brass will decrease the functional life of the gauge. The gauge should be kept cleaned and lightly lubricated for storage. Prior to use, clean the gauge of any lubricant. 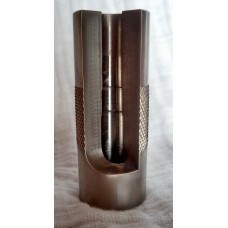 This gauge is manufactured to the SAAMI chamber specification using a chamber reamer. The cartridge overall length (COL) of the gauge is set to the maximum length acceptable for many common rounds. The headspace is shown by the steps in the face of the gauge. The bore of the gauge is drilled to match the bore of the barrel at the lands of the rifling. The slotted gauges have a large slotted window along the side of the gauge allowing you to see directily into the "chamber". This provides several additional methods of examining brass and ammunition. When you are checking headspace, you can visually verify that the shoulders are seated fully in the chamber. If the brass does not fit, you should be able to see what is interfering. The slot provides another check on loaded ammo. By rotating the ammo slightly and trying it in the gauge, you can see some concentricity issues. This will show up as the ammo sitting at sligthly different depths as you rotate it and drop it in the gauge. 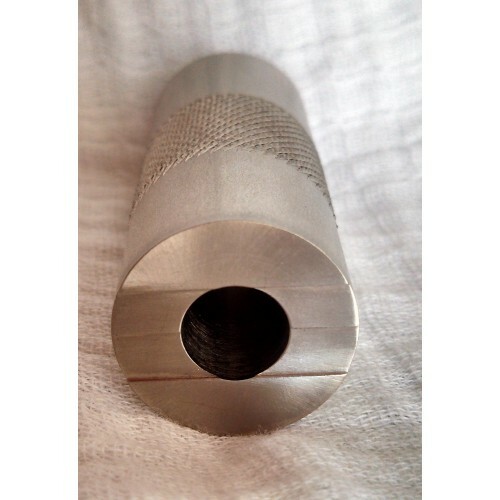 This gauge is designed to check brass and ammunition that has been full length resized. Brass that is neck sized only may not fit.